How do I setup and use Droid Zap? 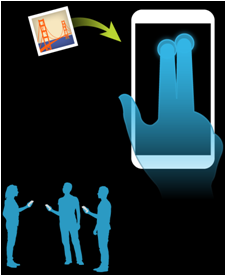 DROID Zap is a new way of sharing with people around you. It is the easiest and fastest way to share photos and videos with the people around you. Share with your close friend or with the entire group with a simple micro-gesture. Just pull up a picture or video in the gallery and do a two finger swipe up to send. To receive, you can do a two finger swipe down even on the home screen. Try out an instant way of sharing photos and videos! Tip: To enable all features and get optimized performance, visit the Play Store to ensure you are running the latest version of Droid Zap. Tell others to swipe down with two fingers to catch. DROID Zap uses your GPS, WiFi, and your network location to determine where you are when you send the picture or video. It then uses a matchmaking algorithm to match your location to people the people who want to receive the content. The content is available to people around up to 1000 feet. The accuracy improves based on your GPS, WiFi, and network location accuracy. Can I restrict who can receive my Zaps? If you want to restrict who can receive your photos, you can set a PIN lock on your Zaps. This will apply a random four-digit PIN to your Zaps. When you then send a Zap, you will see a 4-digit PIN pop-up, tell your friends that PIN so when they attempt to receive the content they will have to enter the PIN to start the download. Remember, only people who get the PIN from you will be able to download your photos and videos. You can determine if photos and videos are sent or received over Wi-Fi network, Mobile network or both. How large of a video can I Zap? Typically, user take about a 40-second clip...we allow you to Zap up to 2-minute video. Is there a limitation to how many Zaps I can send? We allow you to send Zap 20-Zaps per minute. You will have to wait a few minutes after that to start Zap’ing away. What type of formats are supported for photos? DROID Zap uses the native Android gallery, we support the same formats that are supported in the picture gallery. 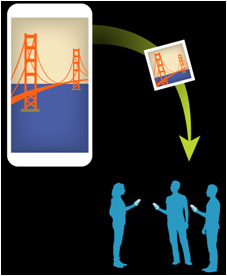 Zap Zones let you automatically share photos with a whole group of people. Touch + and select New Zap Zone to begin. Swipe up with two fingers, to send the invitation. 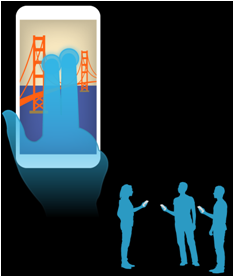 Your friends will swipe down with two fingers to join. 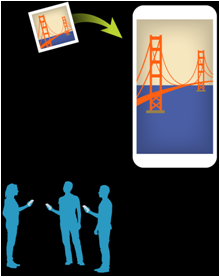 Now all photos taken will automatically be shared in the Zap Zone. To end your Zap Zone, simply touch Menu > End Zap Zone. What are DROID Zap User Content and Conduct Policy?